In 15,000 B.C., strange symbols found while hunting remind Arok of an ener with a ismatic traveler a long time ago. In order for him to find his long-forgotten friend, the most brilliant painter of Prehistoric times, Arok begins a long and perilous journey. 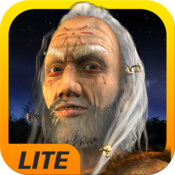 Play as Arok and enter a fascinating and bewitching Stone Age adventure. Learn about Prehistoric life, follow the path of your mentor and work with him to re the paintings of the renowned Lascaux Cave. - Wild animals and many prehistoric acters to interact with in order to achieve your quest. - An integrated encyclopaedia d in collaboration with a renowned specialist to learn all the ways, customs and techniques of the prehistoric period.